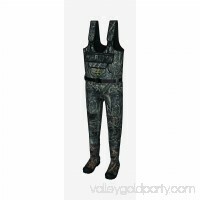 The Skybuster Neoprene Bootfoot Chest Waders from come in Realtree MAX-5 camo and are perfect for cold water hunting and fishing. With 1000 gram Thinsulate insulated rubber boots, 3.5mm neoprene wader construction and an oversized handwarmer/storage pocket, you\\'ll stay warm and dry.The high-back design helps keep you comfortable and the adjustable web suspenders and waist belt customize your fit. 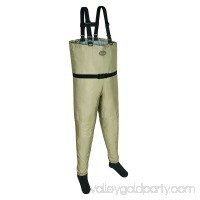 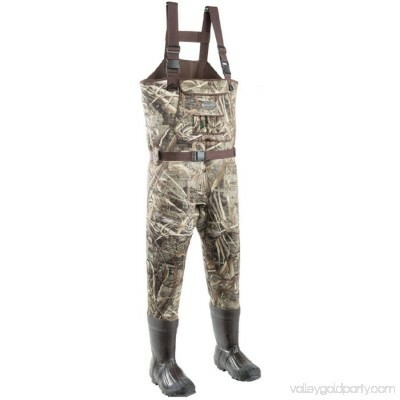 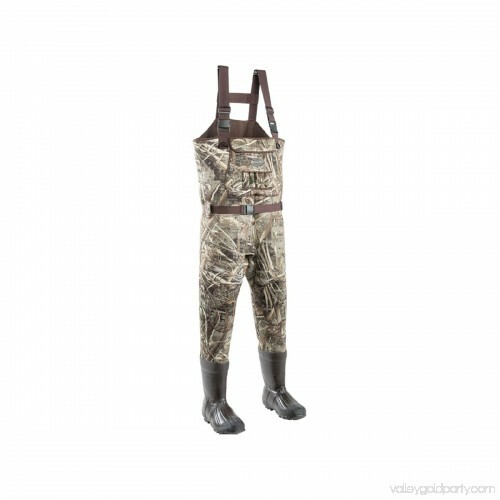 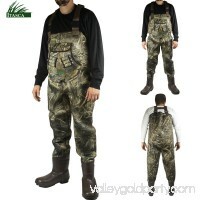 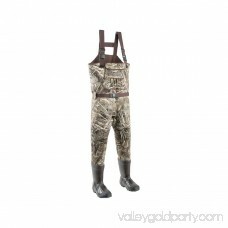 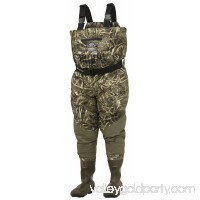 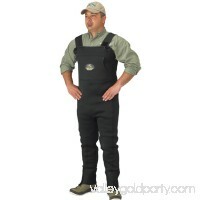 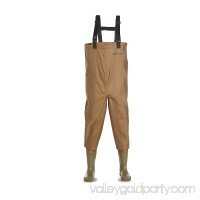 Includes reinforced knee pads, as well as extra shell loops and front D-rings for attaching accessories.The boots in these waders also have a semi-hard toe cap with arch support.